Casa de Campo is one of the best areas to ride a Segway. There aren't a lot of people and in the big avenues you can enjoy more the Segway experience. One of the biggest parks around the world is waiting you. Enjoy the lake, the two balconies with great views, the cable-car, the green areas, etc. Perfect to combine segway skills and explanations about the main monuments. Your guide will start with a short training session to learn safety and how to properly operate a segway with confidence. Once you feel comfortable, you will be ready to start this incredible night tour. 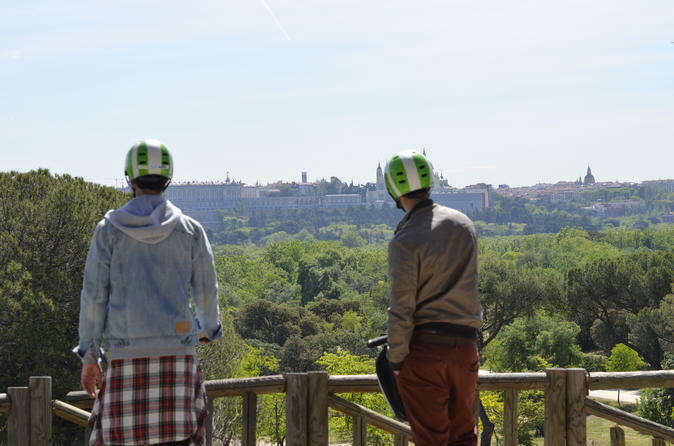 On this 1.5-hour segway tour, you will cross Plaza de Oriente and continue until you reach the river area. Upon arrival, you will visit Casa de Campo. This tour is guaranteed to provide the best views in the city and the best park to ride a segway.